Copyright © Joachim Esche 2015 - This image is copyrighted. Unauthorized reproduction prohibited. 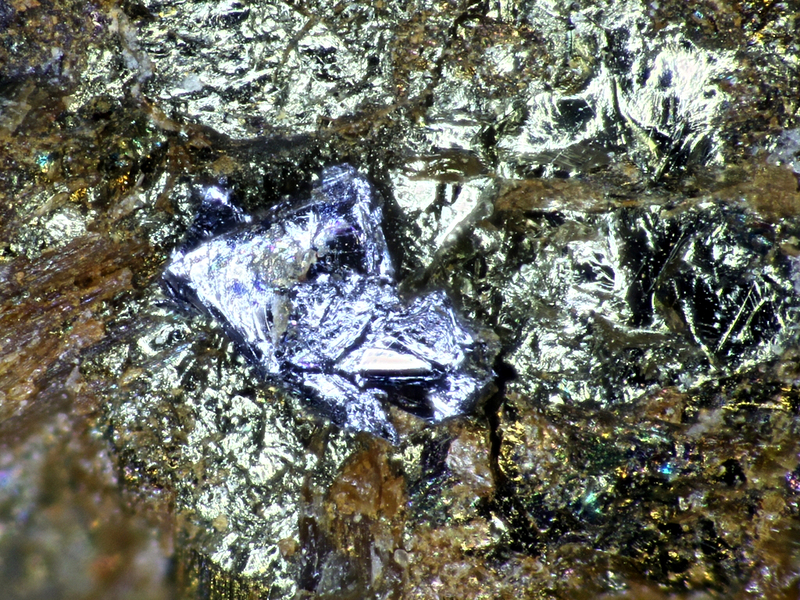 Molybdenite (EDS-analysed by Dan Topa; analysis fits mechanical properties and general appearance), originally sold as "michenerite", "analyzed" by Sid Williams (handwritten remark on the box); the label states only 'Moapa, Clark Co., Nevada', but it is most probably from the nearby Bunkerville district. Photo and collection Joachim Esche. Modified Wild M420 photomacroscope with apozoom and Canon EOS 550D.